Furio Live is the ultimate next-generation remote control camera system for live productions. Combining a high speed dolly, silky-smooth lift, and ultra-fast pan & tilt head with two intuitive and responsive control systems, Furio Live delivers a unique combination of speed, fluidity, and responsiveness in a compact and modular package – perfect for capturing all the action at live events. Make shots you only dreamed of previously, thanks to Furio’s speed, smoothness, and range. Save time and money with a system designed from the ground up to be fast and easy to setup and configure. Locate your camera in places that were previously impossible, discretely delivering stunning visual perspectives. Benefit from lowest total cost of ownership with the safest, most robust and reliable dolly system, coupled with the best support in the industry. Specifically designed for rapid setup and tear down, with fewer cables, built-in power bar and cable management features, and integrated camera balancing plate with tool-less quick-lock adjustments. Reduce costs and complexity by providing greater coverage and versatility, eliminating the need for additional cameras and operators. Offering unparalleled smoothness, accuracy and flexibility, Furio is the ultimate tool for creating stunning visuals, higher quality productions, and more efficient workflows. High speed Furio SE dolly travels at speeds up to 3 m/s (straight track), with a range of nearly 100 m.
Ultra-fast pan & tilt head (up to 180 degrees/sec) covers all the action, from any angle. Two lift options to choose from: The SE Lift featuring 3-stage Carbon fiber construction that delivers over 2.2 m (7’ 2”) of height and 85 cm (33”) of extension, or the more cost-effective 2-stage S2 Lift. Choose from two responsive and intuitive control platforms: modular joystick console, or remote pan bar. 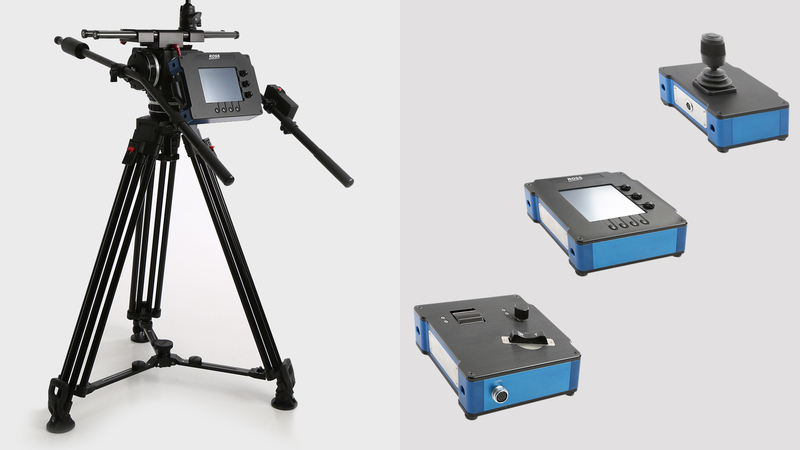 Fast (up to 180 deg/sec), responsive remote pan & tilt head that is quick and easy to setup. 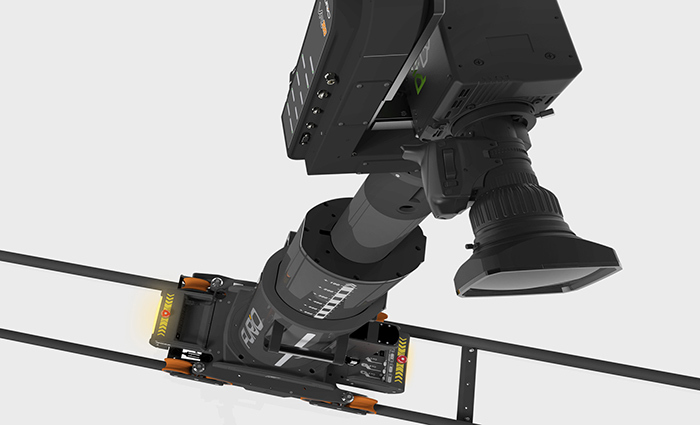 Mounts to either Furio Live Lifts (SE or S2), or directly to SE Live dolly to deliver unbeatable moving shots that uniquely capture the action and energy of live events. Can also be mounted on a tripod or pedestal, or suspended from a lighting grid as a standalone remote head, discretely providing shots from vantage points that might otherwise be inaccessible. Intuitive remote pan bar controls are instantly familiar to any camera operator. Based on an encoded fluid head with adjustable drag, it offers the ability to adjust sensitivity, so that the same swing of the arms can produce a slow pan, or rapid sweep. Foot pedals provide control of dolly and lift. Joystick Control system provides a flexible and responsive user interface for harnessing the power of Furio SE Live. 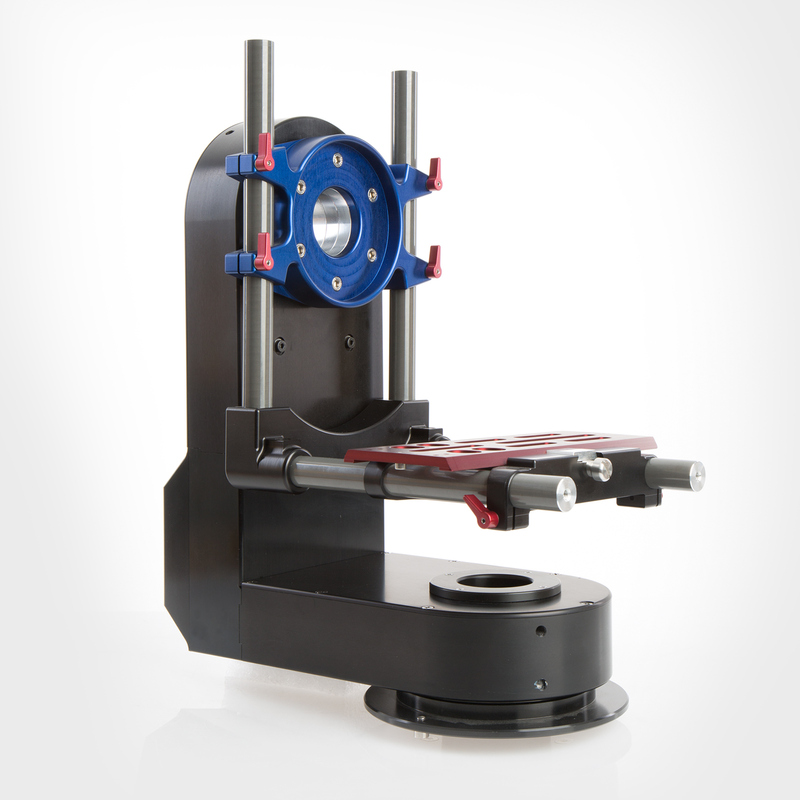 Featuring a compact, modular design that makes it easy to adapt to personal preferences, joystick controls are perfect for today’s robotics operators. Foot pedals provide control of dolly and lift. 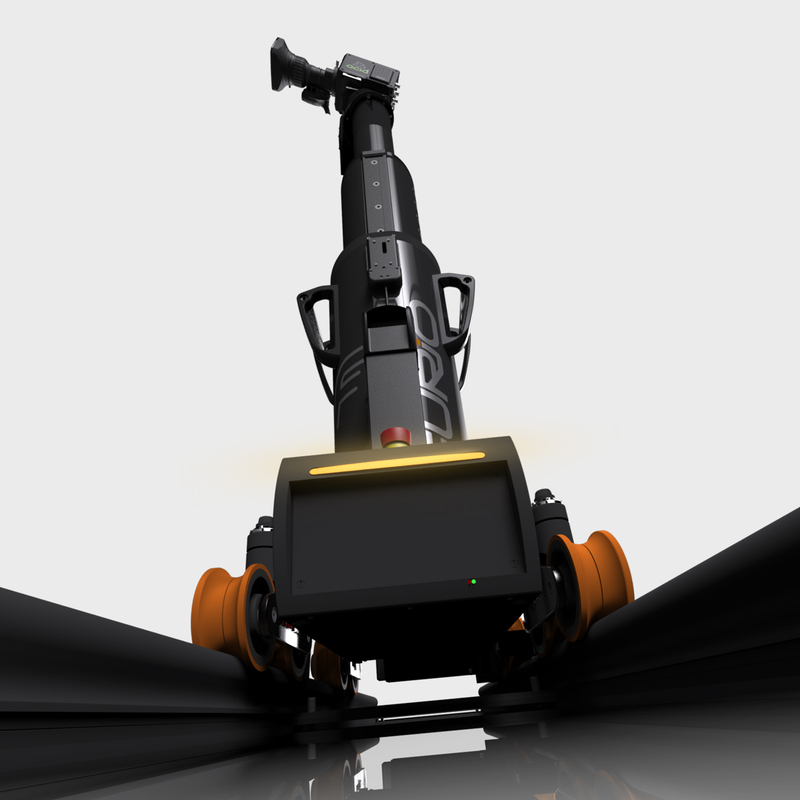 The Furio SE Live Dolly is powerful, smooth and precise. Using reliable brushless DC motors, it provides a fast-moving, stable platform that easily covers the entire stage. Unlike competing systems, Furio SE Live comes with a host of smart features that guarantee quick and easy setup, safe operation, reliable performance, and minimal servicing over life. For example, all electronics are contained in Field Replaceable Units (FRU) that can be swapped in less than 60 seconds, all electrical ports are protected against over-current, and an array of status LEDs accelerate fault diagnosis. Meanwhile, remote and on-board E-stops and regenerative brakes that bring the dolly to a rapid but controlled stop in case of emergency, help make Furio SE the safest rail system available today. Extruded aluminum rails are available in standard or custom-made straight lengths or curves of different radii. With a narrow track gauge of 36 cm (14”), system is portable and can easily fit into small spaces. Discrete and unobtrusive, it appears gracefully “on-air”. SE Lift offers an impressive combination of height, range, power and linearity – while eliminating the need for pressurized gasses or periodic realignment, making it the most robust and reliable lift design available. Designed with touring in mind, SE Lift includes two sets of ergonomic handles to assist with installation, and an ingenious blind mate mechanism that completes all electrical connections between lift and dolly with a simple “slide and click”, while eliminating exposed cables or connectors. 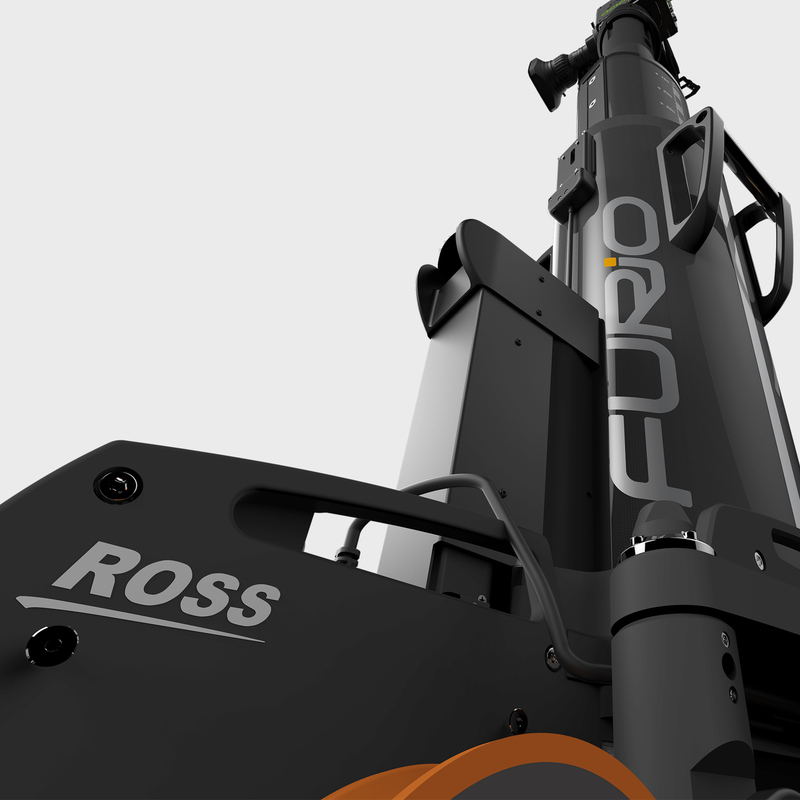 Featuring a proven linear-guide design that has been reliably deployed in CamBot 600PTZ systems for over a decade, the 2-stage S2 Lift offers excellent linearity and stability, with smooth vertical movement for creating characteristically beautiful Furio moves. 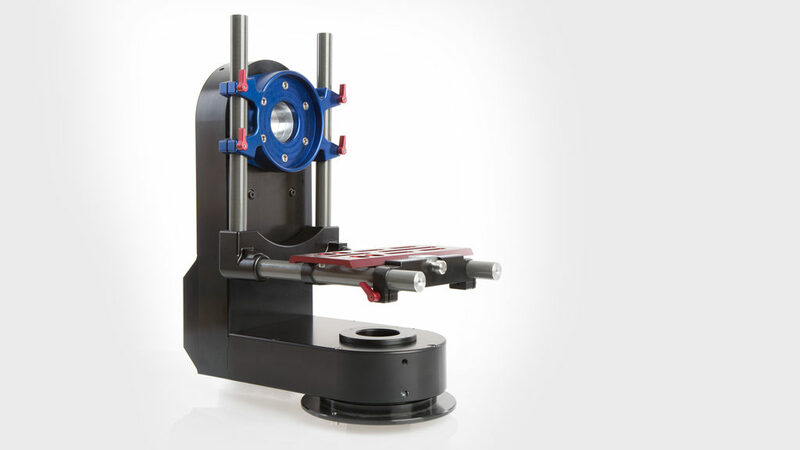 This makes it the perfect solution for applications where the extra extension range, height or speed of the SE Lift are not required, or where budgets are more constrained. All Furio Live system packages come with a complete set of custom stackable flight cases, which have been specifically designed to safely transport Furio from show to show. All cases have a footprint of 22.5” x 44.7″ (57 cm x 113.5 cm) allowing them to be stacked and efficiently packed in a 90” (229 cm) wide truck.